Make your moment of "I do" truly memorable with this spectacular half eternity wedding band. Its contemporary design showcases a sleek shank that is adorned with alternating marquise and square frames with gorgeous milgrain detailing around the silhouette. Embedded within these frames are pave set lab grown diamonds that instantly infuse opulence into the design. 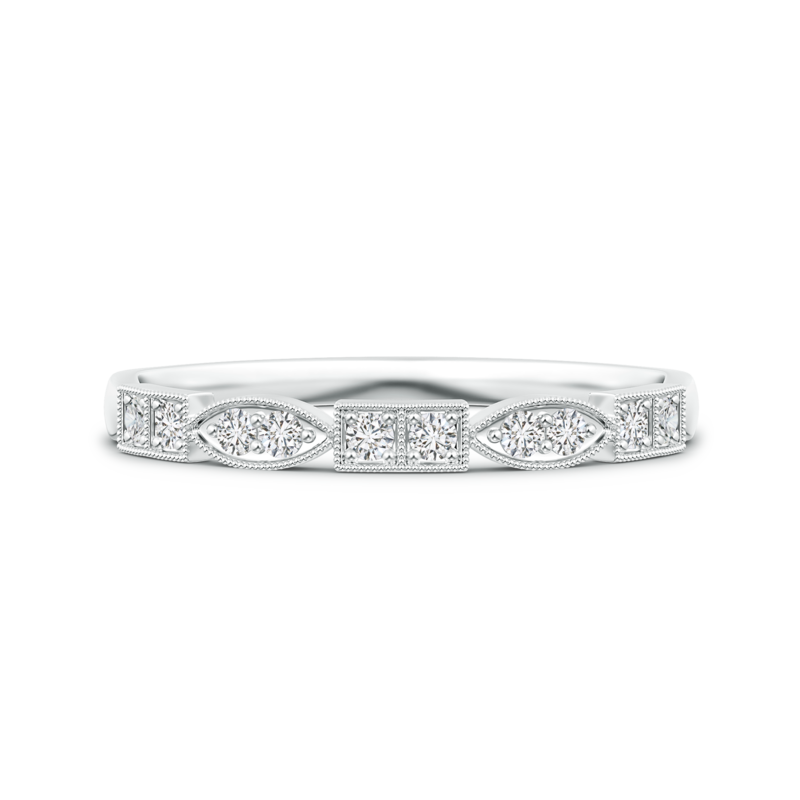 The 14k white gold metal offers the perfect backdrop for this stunning piece of jewelry. An undeniably charming pattern teamed with eco-friendly gems makes this stackable wedding band a product of refined artistry.